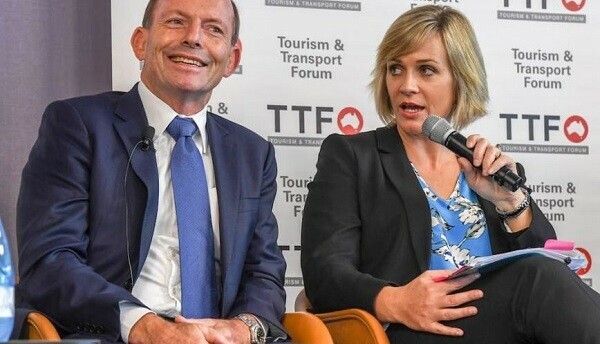 The solar industry has thrown its weight behind the Independent candidate for Warringah, Zali Steggall, in her bid to oust former prime minister and chief renewables obstructionist, Tony Abbott, in the coming federal election. Abbott’s defeat would indeed be symbolic for Australia’s renewable energy industry, exorcising a political demon who, in his role as Prime Minister, brought investment in large-scale solar and wind to a halt between 2013 and 2015. “(He) was not just destructive [to the renewable energy industry], but willfully so,” Grimes said in his short plug for Steggall, delivered directly after Steggall’s speech at the Sydney conference on Wednesday. Steggall, a Sydney-based barrister and former Olympic skier for Australia, is one of a number of independents running for Liberal Party safe seats around the country on a platform of climate action and renewable energy advocacy. In her own speech delivered earlier at the conference, Steggall said it was “vital” climate change and clean energy were at the centre of this federal election.“Sadly the Coalition, in last night’s budget, certainly showed that there’s no real commitment to invest in reliable, clean, affordable power. There are cash hand-outs… But there’s no real investment to lower the prices and invest in a clean and affordable future,” she said.